amazing pics at that website! thanks for sharing the link..
wanted to save a few but can't..
any idea how to save to my computer? thanks! i also love your site and consider it one of the best! I use a program called "Printkey" that allows you to print anything from any portion of the screen. Just Google "Printkey" and download "Printkey 2000". It's free. Julie, you can take a screen shot with any number of freeware capture programs, then crop and edit in Photoshop. Better, if you are using Firefox (and you should be), you can just click on Tools --> Page Info --> Media, and you'll get a list of all the images on the page. Scroll through them, and it will display each image in turn. When you find the one you want to save, just click on the prominent "Save As" button to do so! This won't work with flash-based pages, but should work with most others! 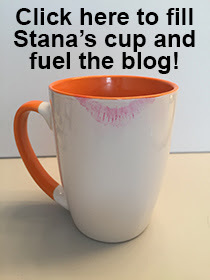 Wow, that is one of the best I’ve seen – thank you, Stana, for sharing your find! WPBs have long been a source of fascination for me, and I’ve made some deductions based on not just the photos or videos I’ve seen of the many actual events, but also “behind the scenes” descriptions and images that sometimes provide a window into the preparation involved. With school-age (middle and high school) WPBs, if the overall quality of femulation is high (well-fitting up-to-date gowns, nice heels instead of flip-flops or sandals, flawless makeup, nice wigs rather than halloween-quality mops, etc. ), you can almost be certain that the Moms were heavily involved in the process, rather than the boys being left to their own devices and/or the help of peers (often yielding results more comical than realistic). And in the best cases, a lot of these are probably already “pageant Moms” who have done the same for their daughters, and have some savvy about hair, fashion, and makeup techniques. I think that is the case here – note how even the crowns and sashes are of legitimate “straight” pageant quality, rather than handcrafted or improvised. Makes you wonder if all those TV fiction stories of mothers feminizing their boys are more than just fantasy. Maybe there are a lot of Moms who secretly yearn for the opportunity to turn a son into a daughter, even if just for one evening! Thanks and please share more on the pageants in the future. Julie --- I use SnagIt on my Windows PC at work and Grab on my Mac at home. I think middle school is too young. If it was my kids' school, I would have taken it to the district. I guess it makes me a hypocrite, but I wouldn't want a middle school *girl* in some of those outfits, much less a boy. Yes, I'm one of *those* parents. Sorry. thanks girls..i'll try your suggestions!